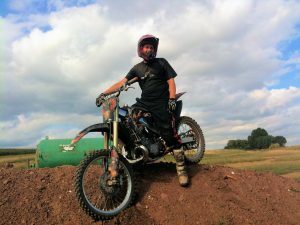 I started Xtreme MotoX to share everything I know about dirt bikes and motocross. I started racing dirt bikes way back in 1996 at the age of 12, and I’ve been obsessed ever since! Click here to read more about me. XTREME MOTOX IS A PARTICIPANT IN THE AMAZON EU ASSOCIATES PROGRAMME, AN AFFILIATE ADVERTISING PROGRAMME DESIGNED TO PROVIDE A MEANS FOR SITES TO EARN ADVERTISING FEES BY ADVERTISING AND LINKING TO AMAZON.CO.UK AND AMAZON.COM. THESE LINKS DO NOT INCREASE YOUR FINAL PRICE PAID TO AMAZON.